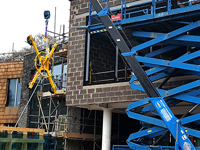 The world’s first tracked glazing robot has gone on show for the first time at Glasstech on a stand jointly run by Hird Ltd and GMV Cranes and Handling. The tracked Winlet 1000 glazing robot was launched to the glass installation market on Tuesday 23rd October at Glasstech international trade fair for the glass industry in Dusseldorf, Germany. 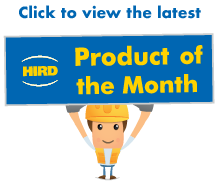 Mini cranes, glass lifting and powered access hire specialist Hird is the UK authorised dealer for Winlet glazing robots which are designed and manufactured in Denmark by GMV Cranes and Handling. Carl Cooper, Crane Sales and After-Sales Manager at Hird, said: “We are delighted to be able to support our partners at GMV Cranes and Handling in the launch of such an exciting machine. 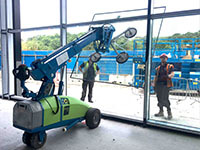 Winlet machines have revolutionised glass installation, with new standards of safety, productivity, load manipulation, precision and mobility for a glazing robot. The tracked Winlet 1000 adds to this impressive record of innovation, combining all the benefits of a Winlet glazing robot with a platform ideally-suited to operation across uneven and unstable terrain. The tracked Winlet 1000 has dynamic levelling so glass or other non-porous panels can be installed even when the machine is operated on sloping ground. The glazing robot will cope with ground that has a combined longitude slope of up to 15 degrees and a lateral slope of up to 14 degrees. For the first time, its hydraulic boom arm also slews through 100 degrees left and right from the centre. The Winlet 1000 has a maximum safe working load of 1,000kg. Like other glazing robots in the range, it delivers greatly improved productivity, increased safety and reduced glass installation costs. 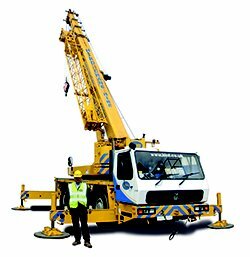 Hird is also showcasing other lifting equipment on the joint stand, including the Manitex Valla 22E electric pick and carry crane, the GML 800+ materials lift, and the MFC 750 mini counterbalance floor crane. 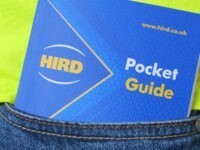 For more information about options to hire or buy a range of lifting equipment, including Winlet glazing robots, call Hird today.